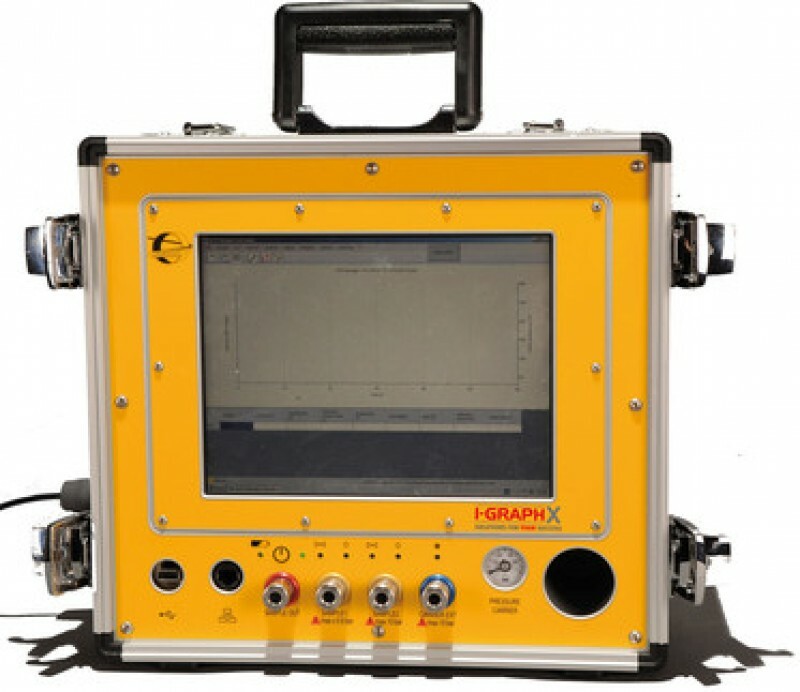 The I-Graph XC Chromatograph is a portable gas analyser that keeps your samples protected during transport to the laboratory. The I-Graph XC Chromatograph is a handy, lightweight, stand-alone device with many field applications. Its sturdy aluminium case keeps the I-Graph XC chromatograph protected and boasts a handy storage compartment in its lid for accessories. It comes with a built-in PC running Windows XP Professional and a 10.4 " touch-screen. Other key features: AC power supply and battery (also available in solar powered), USB ports, RJ45, WLAN (optional WIFI) and custom online calibration. It’s GCM Manager software automatically processes and stores the data analysed, making it even easier to use. It enables you to perform both qualitative and quantitative analyses. This is a fully-mobile, stand-alone product with very short measuring cycles and an easy-to-use interface, making the I-Graph XC Chromatograph the perfect solution for field applications. Power: 15W up to 90 W max.